More with Music: Another great book! Today's post may be short, but it is about such a great book! I'm anxiously awaiting my own copy in the mail and highly recommend this book to anyone who works with children with special needs (especially children with autism, PDD-NOS,etc.). Many students that music therapists typically see (especially students with autism, PDD-NOS), have various sensory issues that effect nearly everything they do. Students may have sensory issues with food, textures, water, heat and light, sounds,etc. and the list goes on and on. 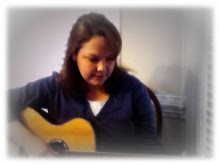 After gaining knowledge about a few of the sensory issues listed above, I can personally say that some of my music therapy sessions were much better and were much less stressful for the students as well. Learning about these sensory issues and how to read each student as they participate in music therapy sessions definitely helps me as a music therapist. This book,Insights into Sensory Issues for Professionals: Answers to Sensory Challenges, is a compilation of articles from the award winning S.I. Focus magazine. Founded and published by Kathleen Morris, The S.I. magazine is the first of its kind serving as an international resource to parents and professionals. The articles included give readers more knowledge on how to improve sensory integration and how to address sensory processing deficits. 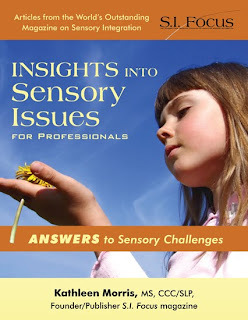 What other books have you read that helped you understand sensory issues?